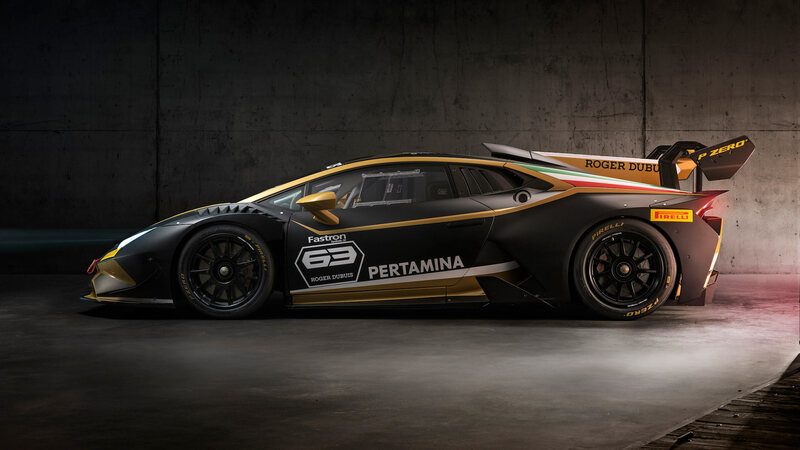 With an eye on the prize for the most elaborately orchestrated special edition, Lamborghini has created a one-off version of the Huracán Super Trofeo Evo. 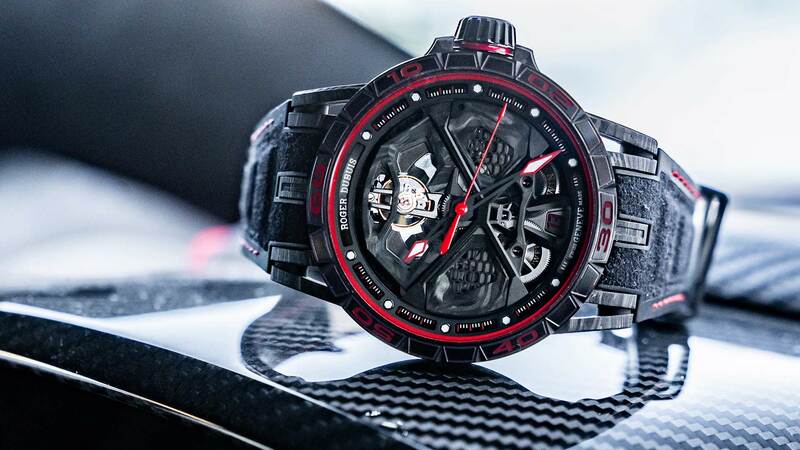 Intended to celebrate the link between Lamborghini, and luxury watchmaker Roger Dubuis, the Huracán Super Trofeo Evo Collector 2019 was unveiled at a special event in Geneva. Handily, the Swiss city happens to be the base for Roger Dubuis Manufacture, making this year’s motor show the prime venue for this feast of elaborate design. It all starts to sound slightly like the 2010 film Inception when you unpick the details of Super Trofeo Evo Collector 2019. The movement of the Roger Dubuis Excalibur is said to mirror that of the Lamborghini V10 engine, whilst the ‘X’ design replicates the cross brace found inside the Huracán’s engine bay. More influence can be found in the watch crown, which is meant to look like a locking wheel nut from the Lamborghini racer. Only 88 examples of the watch are planned, with a retail price of $52,500 (£40,100). 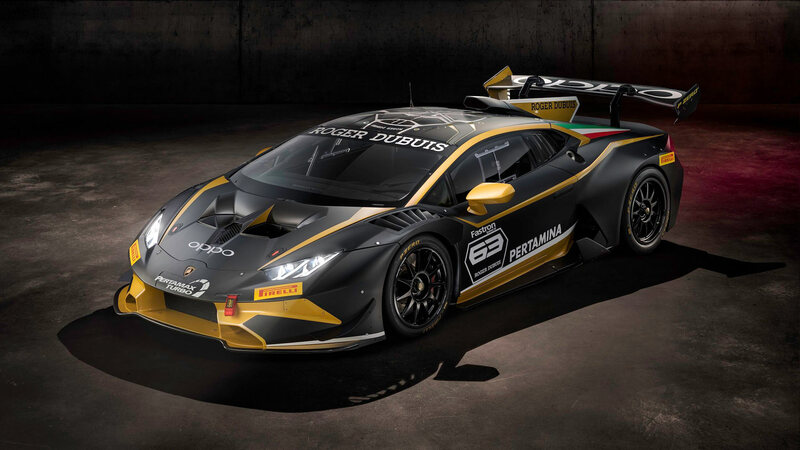 It means this special Lamborghini black and gold Super Trofeo Evo Collector is a car which pays tribute to a watch, which was inspired by the same car in the first place. This could all sound a little contrived, but it is at least a great opportunity for an excuse to look at the Huracán Super Trofeo Evo. Lamborghini has picked the gold trim to highlight the aerodynamic details on the car, and it does look rather impressive. Built especially by Lamborghini’s Squadra Corse motorsport outfit, the Super Trofeo is used in four single-make championships across the world. Aimed at a mixture of amateur and professional drivers, the Super Trofeo offers either a potential route into sports car racing, or an expensive hobby for the wealth supercar owner. Buying the 630hp V10 Huracán Super Trofeo Evo costs €235,000 (£201,000) plus taxes. American buyers actually have to stump up more, with a price of €295,000 (£252,000) instead. It does essentially guarantee that anyone willing to take the plunge and enter the race series, is more than likely going to be able to afford the luxury timepiece that goes with it. 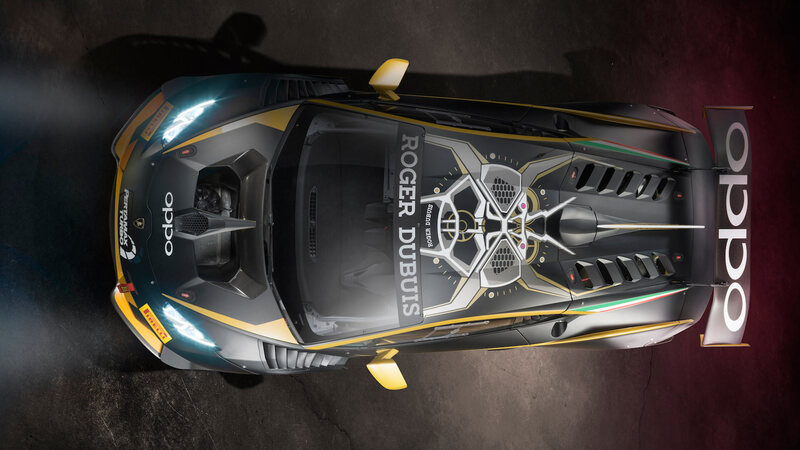 Will Roger Dubuis produce a new watch in honour of the Super Trofeo Evo Collector? Only time will tell.